Did you know that some communities run their local pub themselves? Community-owned pubs offer a new and innovative way for community groups to save their local from closure. It gives local people the chance to run and grow a business that meets the need of individual communities, such as by offering other local services such as shops, post offices or a local library. There are some fantastic examples of pubs that have been turned around through the sheer effort of the local community. The first step to community pub ownership is often listing the pub as an Asset of Community Value (ACV). Read more about listing your local as an ACV here. 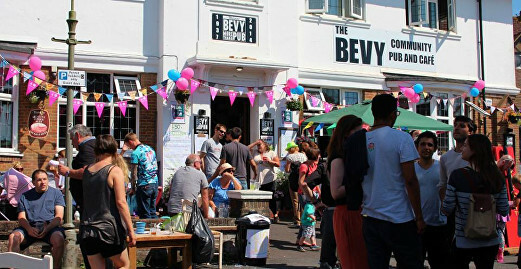 The Bevy, Brighton is the UK’s first co-operative pub on a housing estate. It is funded by over 700 shareholders and was re-built and decorated by an army of volunteers. Today, it still relies on these volunteers to chip-in with the day-to-day running of the pub, whether that’s mowing the lawn, touching up some painting, or glass collecting when they’re busy. They successfully raised £200,000 to reopen the pub back in 2014, and a £175,000 grant enabled them to do even more. They now have their own wheelchair accessible ‘Bevy Bus’ that picks up local residents for their Friday lunch club, brings their sponsored university rugby team back to the Bevy post-matches, and takes Albion fans to every home league game. They’ve also built a training kitchen, where they’re teaching young people to cook, spruced up their edible pub garden, and introduced a £3.50 community meal every weekday lunchtime. The George & Dragon is the only pub in Hudswell and the first community-owned public house in North Yorkshire. 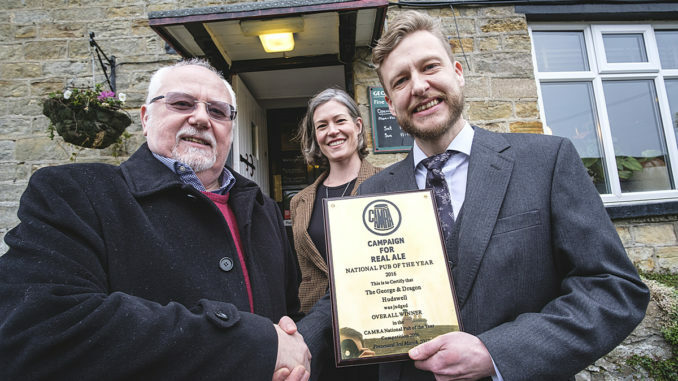 It was also selected as CAMRA’s National Pub of the Year in 2016, the first community-owned pub to win the award. When the George & Dragon pub in Hudswell closed in 2008 it left the small North Yorkshire village with no other facilities for its residents apart from a village hall. Within two years, the community banded together to form the Hudswell Community Pub Ltd group and bought back the pub, re-opening in June 2010 after extensive renovations. The community was determined that the George & Dragon would offer far more than a traditional pub. As well as acting as a meeting place and venue, it is also home to the village library, a local shop staffed by volunteers, community allotments and free internet access for its patrons. The Raven Inn pub closed in 2009 and was destined for conversion into housing estate when it failed to reach its reserve price at auction. The local community decided to buy back the pub with the help of the TV programme “Save our Boozer”. A company ‘limited by guarantee’ was set up to run the pub, Raven Mad Ltd. 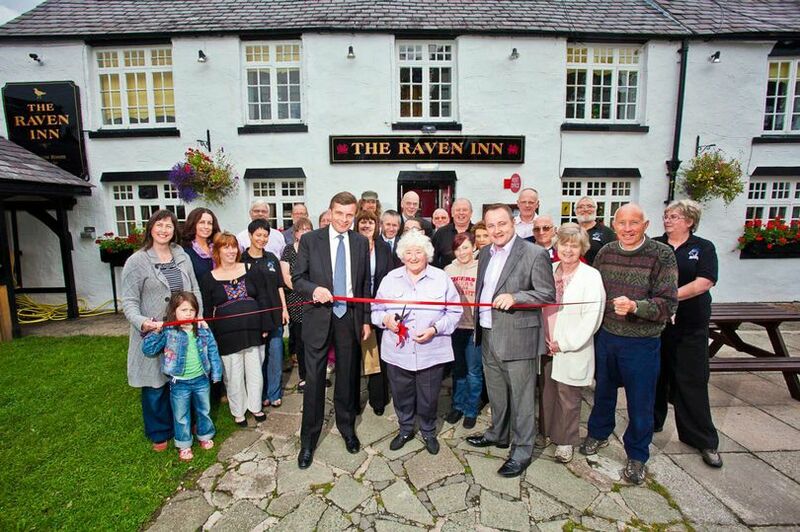 The Raven Inn is now staffed entirely by volunteers and any profit must be used to fund village community projects. They pride themselves in serving as much local produce as possible and one of their three real ales is always brewed by Cwrw Iâl which is made just up the road by their sister community company.